During a prairie restoration project, we had to cut a number of trees down that had grown up along a former fenceline. The farm fields had been planted to prairie in the 90’s, but they were still separated by a straight “treeline” edge. Such unnatural edges decrease the overall diversity of the species that live in the prairie. 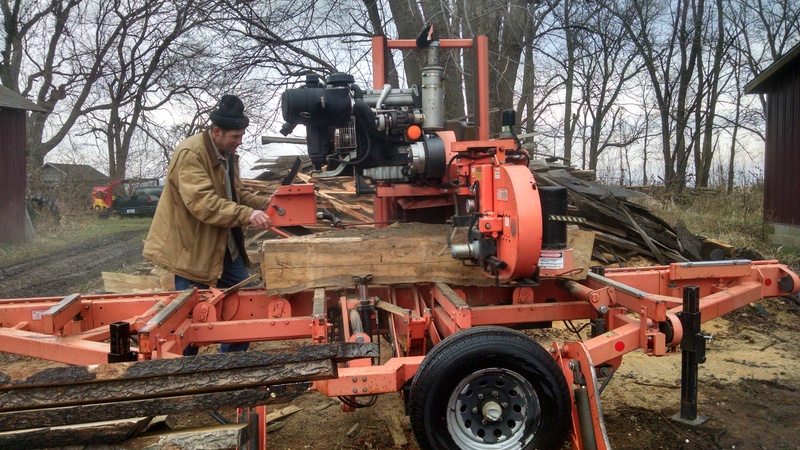 Instead of creating habitat brush piles and cutting firewood for maple syruping, we had the irregular log sections sawn on-site into 2″ thick boards. We took the boards to a kiln. This allowed the wood to dry quickly, with minimal warping, and killed any insects in the process. 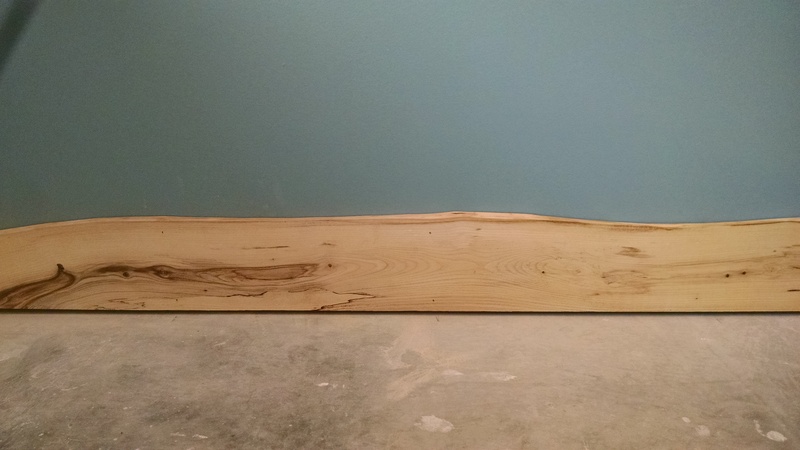 The kiln recut and planed some of the boards for us to create 3/4″ live edge baseboard. 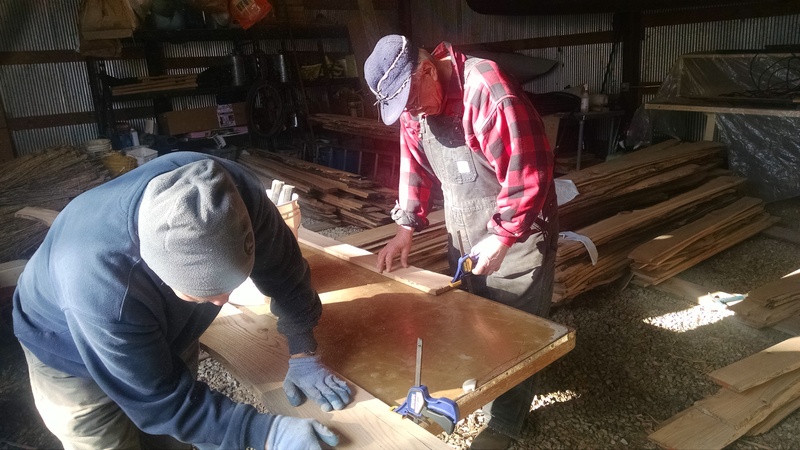 Volunteers took the bark off and sanded down the live edge to create a smooth finish. 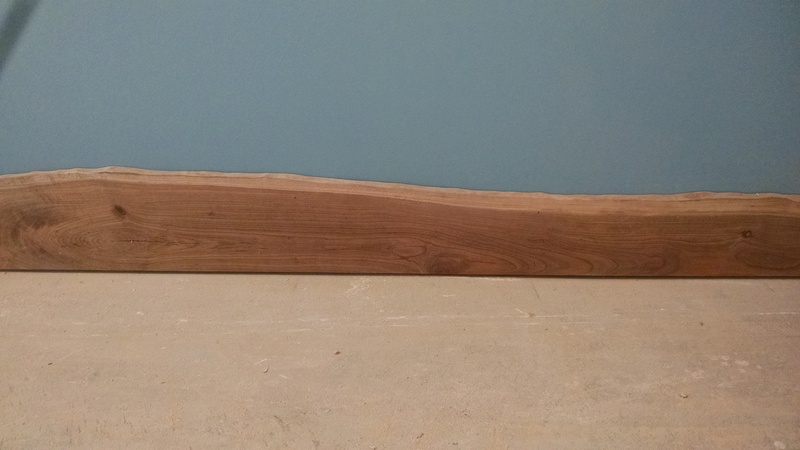 A master craftsman from Ryan Companies than installed the baseboard. Lining up the live edge with the studs was a labor of love and caring. 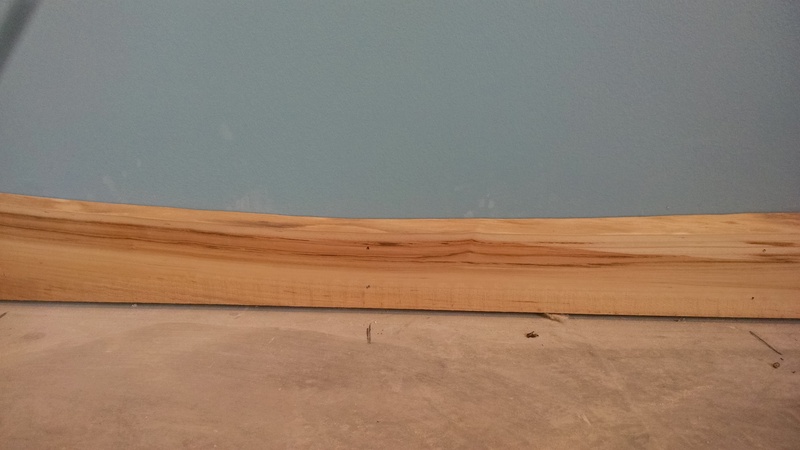 Box elder is a soft wood with a short lifespan, and is not usually considered a top choice for woodworking. However, the red bands create a dynamic, rich hue in the room. Hackberry is also not typically a choice interior wood, but its pale color creates a unique offset to the blue wall. Black cherry is more commonly used among furniture makers.